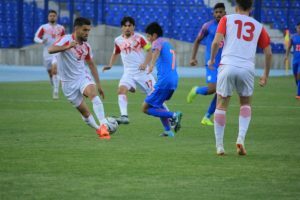 India eliminated from AFC U-23 Championship qualifiers, lose 0-2 to Tajikistan! Home / International Football / Asia / India eliminated from AFC U-23 Championship qualifiers, lose 0-2 to Tajikistan! The Indian U-23 National Team ended their AFC U-23 Championship qualifiers campaign with a 0-2 loss to Tajikistan in their second match of the group stage at the Pakhtakor stadium in Tashkent, Uzbekistan today, March 24. Previous Chennaiyin FC to play their AFC Cup group matches in Ahmedabad! Next Sixteen Participating Teams Confirmed for the 2019 CONCACAF Gold Cup!